There is life beyond the lagoon! Veneto – the Northern Italian region of which Venice is the indisputable gem – holds in its bosom so many more delights that you can spend weeks exploring it and still be left with a long list of things to see, taste and do. From the sparkling beaches on the Adriatic sea to the snow-capped peaks of the Dolomites, this rich in history and art land charms the heart. Better request that annual leave and start planning your trip now! To help you along here are my top five reasons for visiting Veneto asap. 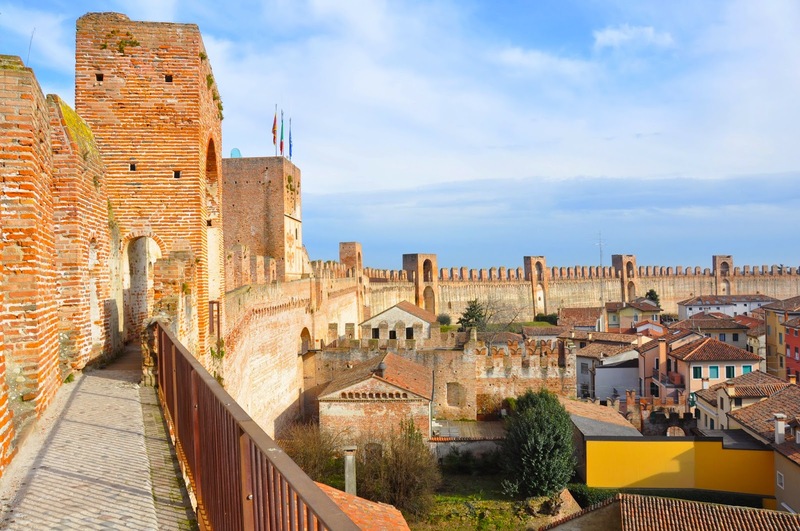 Veneto is dotted with fabulous little towns hugged by huge uninterrupted centuries-old defensive walls. Marostica, Montagnana, Castelfranco Veneto and Citadella are only a handful of them. They are all charming places where you can imagine life as it was in the Middle Ages – under a constant threat of attack, people would fortify their towns and organise their lives huddled within the wall’s embrace. It is a humbling feeling to touch the masonry of one such wall whilst trying to grasp the concept that it has stood at the same place for nine centuries and that it has been erected without the machinery of today. In Cittadella you can even walk the full length of the wall at 14 m height and then hire a boat to take you around it on the moat, which makes for an unforgettable experience and offers you amazing views both towards the town ensconced within and the pre-Dolomites on the horizon. The perfect day trip! Veneto is densely populated by some of the most impressive buildings in the world. You wouldn’t expect any less, considering that it is the birthplace of Andrea Palladio – the Renaissance architect whose influence on designing and constructing buildings was such that he is renowned as the Father of American Architecture (yes, the White House is built in his style). 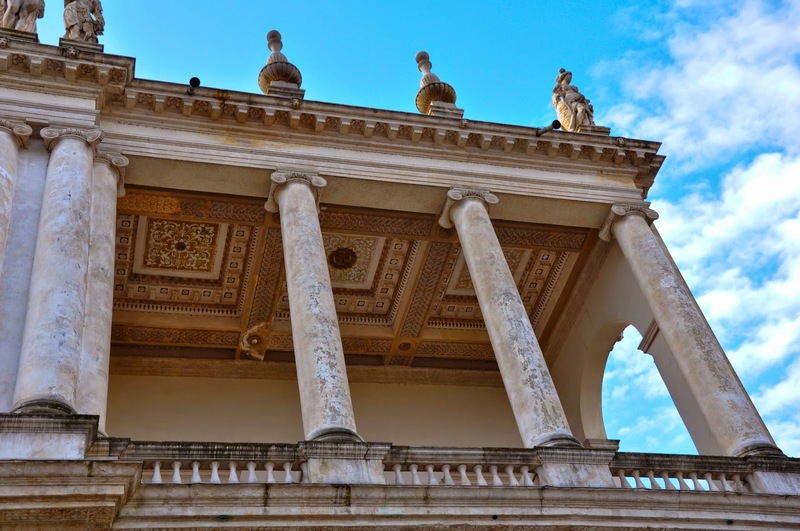 If you have ever wondered where the architectural term ‘Palladian‘ was derived from, come to Veneto to find out. Majestic palazzi and elegant villas adorn this land. You can spend whole days exploring itineraries dedicated simply to discovering architectural gems. My very favourite one is Teatro Olimpico in Vicenza – a 430-years old theatre with the world’s oldest surviving stage set still in use today. Definitely a place you need to visit and, I promise you, you will feel enriched! Yes, Veneto is the land of this tragic romance. Romeo and Juliet still live here and if you look beyond the touristy stuff, you will find a local tradition related to the star-crossed lovers that precedes their most famous literary father – Signore Shakespeare. In the 16th century Luigi da Porto – a member of a powerful family in Vicenza – wrote a story which he titled ‘Romeus and Guilietta’. 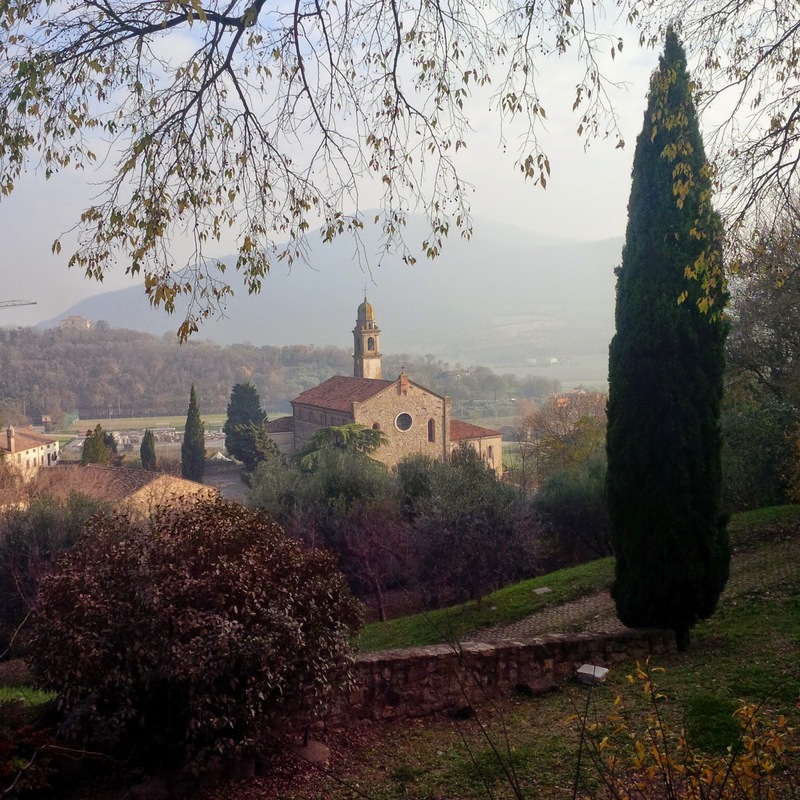 He used two castles dating back to 975 and facing each other in the hills above the small town of Montecchio Maggiore as a backdrop for his tragic storyline. Since then the castles have been known as the Romeo’s and Juliet’s Castles and attract a steady stream of visitors all year round. Make an itinerary out of this by adding romantic Verona to your Veneto wish list. 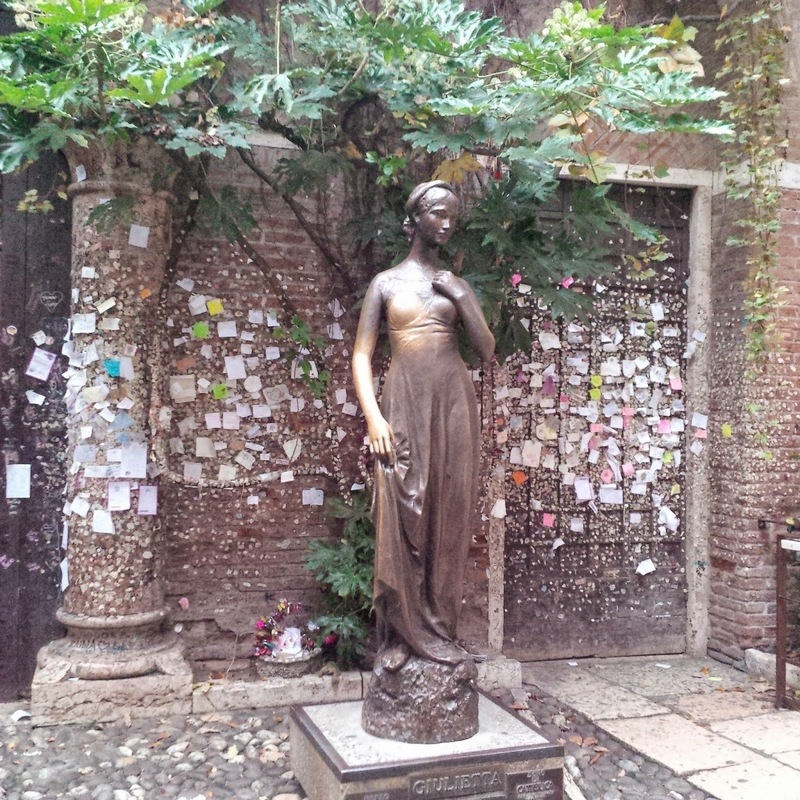 There you can visit Juliet’s House and touch Juliet’s right breast in order to meet the man or the woman of your dreams. You can also see Juliet’s alleged tomb, pass by the house where Romeo allegedly lived, find the alleged spot where Romeo killed Tybalt and do much more. Definitely one for the romantic at heart! 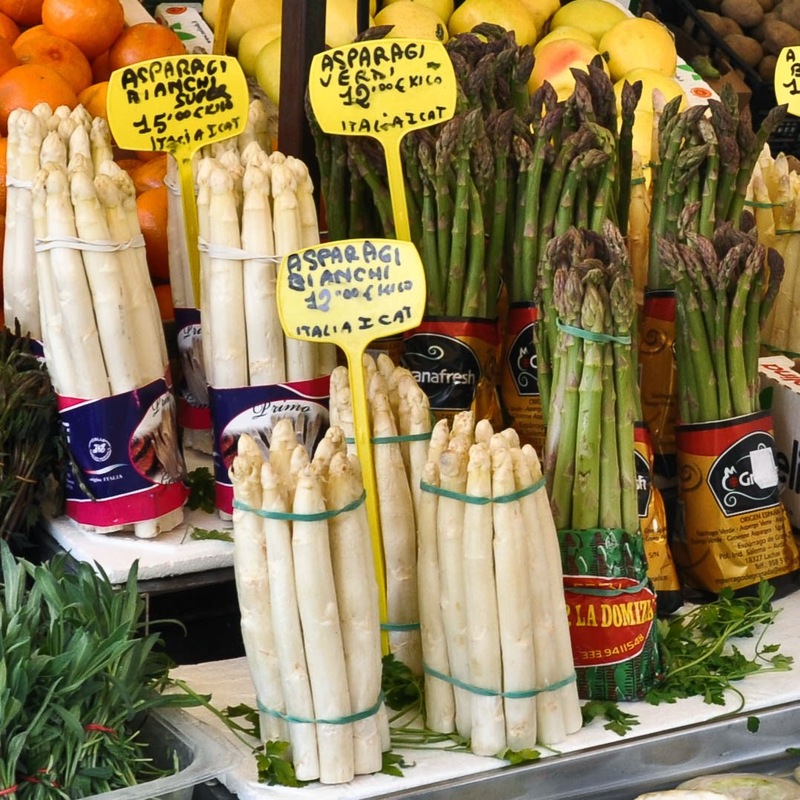 Offering tasty seasonal food all year round Veneto is a delight waiting to be sampled. Right now we are enjoying gorgeous blood oranges as well as white and green asparagus, but what I am really looking forward to is the cherry season which should start around the end of May. Other local delicacies I am only too happy to recommend encompass the fabulous cheese of Asiago – which is great both fresh and matured, creamy tiramisu – which was invented in Treviso, frittelle – tasty balls of fried dough stuffed with different fillings, minestrone in the style of Veneto, torta del Santo (Saint’s cake) from Padua and grilled meats in the abundant style they serve them in an agriturismo (an Italian farm where you can take a holiday or simply visit for a hearty meal). After all this exploring, sightseeing, romance and eating, you may need a little break to recover. My suggestion is to drive straight to the shores of Lake Garda and spend a couple of days flitting between Lazise and Malcesine. 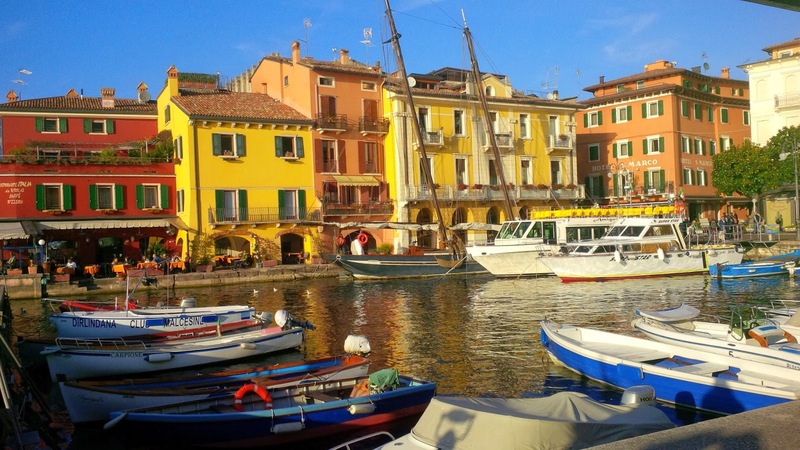 Enjoy copious amounts of proper Italian gelato in the former whilst taking leisurely walks along the promenade and feeding the many swans in the blue waters of Italy’s biggest lake. In the latter, definitely visit the castle and then take the funicular all the way up to Mount Baldo. The funicular cabin swivels at 360 degrees as you go up offering you unparalleled views of the lake at your feet. Once at the top, just sit for a while at the staggering 1760 m height and reminisce of a fabulous time spent in Veneto – this Northern Italian region that by now should have a place in your heart. Obviously this is just a very compacted and personal to me list. So many more destinations can be added to the Veneto travel plan: gorgeous large towns which are steeped in history whilst enjoying a healthy business life, like Treviso and Padua, festivals celebrating local customs and the fruits of the land, vibrant art scene with large exhibitions taking place, memorial places of the First and the Second World War, birth and resting places of Italy’s most famous poets and artists, fabulous spas with hot mineral waters feeding them non-stop. The list can go on and on.